The Belfast Giants revived their outside hopes of Elite League glory by securing an amazing win away to the Nottingham Panthers on Friday. The Giants were trailing 1-0 after 40 minutes with Slovakian forward Juraj Kolnik getting the goal. 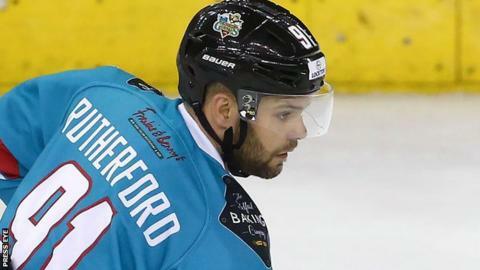 Belfast scored five in the final period for the win to sit seven points behind leaders Cardiff with a game in hand. David Rutherford, Mike Radja, Craig Peacock, Colin Shields, and Mike Forney got the goals for the Giants. They move up to fourth in the table, ahead of the Braehead Clan who play on Saturday night. The Giants still have to play the Cardiff Devils three times in the title run-in.